In 1995, the Leading Business by Design research project was launched to examine how businesses – including organisations not traditionally associated with design – can benefit from it. Schematic Design: An initial design scheme that seeks to define the general scope and conceptual design of the project including scale and relationships between building components, and the determination of a structural concept. At the end of the schematic design phase the architect and engineer will present some very rough sketches to the owner for approval. These sketches will provide the owner with the opportunity to verify that the design team has correctly interpreted the client’s desired functional relationships between various activities. The sketches will also provide the client with a general indication of the exterior design dialogue, and an ability to undertake a preliminary cost estimate. Understand customer needs, focus on building the product that the customer really wants and respond effectively to change as it occurs. Capture and manage requirements and traceability to other engineering artifacts with IBM requirements management solutions. A tender is a submission made by a prospective supplier in response to an invitation to tender. It makes an offer for the supply of goods or services. Tender documents are prepared to seek tenders (offers). Generally, tendering refers to the suppliers required to complete construction works, rather than the process of selecting consultancy services which is commonly referred to as appointment. Tender documents may be prepared for a range of contracts, such as equipment supply, the main construction contract (including design by the contractor), demolition, enabling works etc. Ideally, tender documents should be broken down into a series of packages (even if there will only be one main contract) each with its own design drawings and specifications suitable to be issued by the main contractor to potential sub-contractors. This makes the tender easier for the contractor to price and easier for the client to compare with other tenderers. It is important, when this is done, to ensure that the interfaces between packages are properly identified and clearly allocated to one package or another. Having too many packages increases the number of interfaces and so the potential problems. The cost plan (pre-tender estimate) should also be re-assembled package by package to allow easy appraisal of tenders received. Al-Amar Company provides complete cost estimating services to virtually all sectors of the construction industry, domestically, and internationally. We have prepared detailed estimates for new construction and remediation. In addition to serving contractors with the preparation of detailed construction estimates, Synergen provides estimate review and analysis services to owners and lenders seeking verification of project estimates and/or confirmation of project costs. Most companies have an established procedure for awarding contracts to their suppliers. Even with well-designed systems, however, the force of corruption can have a negative impact on the procedure, resulting in increased costs for the company and poor goods and services delivered by suppliers. It is not necessarily what organisations do but how they do it that makes them successful and establishes their competitive advantage. Why does one organisation survive and the other slide into irrelevance? Why does another organisation not only survive but thrive? The answer, again and again, tends to be linked directly to how they design and manage their projects. Furthermore, understanding how to best implement change and bring an organisation and its people along together is key to a project’s success. We have a strong proven track record of being able to help local organisations with both Project and Programme Management (Al-Amar), recognising the need to integrate organisational change and project management. But what do we mean by ‘Al-Amar’? Project Management looks to apply knowledge, skills, tools and techniques to project activities, to meet project requirements; whereas Programme Management ensures a group of related projects are managed in a coordinated way to obtain benefits and control not available from managing them individually. The skills required for each can be similar but each has its own unique challenges and obstacles that can result in the need for using experienced and skilled ‘Al-Amar’ professionals. More than one reasonable, safe and acceptable solution can often be applied to a particular design. Value engineering asks: “Which acceptable solution is most economical?” This process also poses the more challenging question: “Does an entirely different and better approach exist?” To answer both questions effectively, depth and breadth of experience is required. 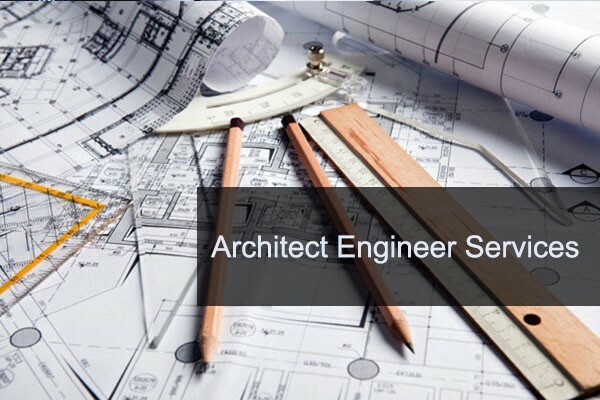 Our structural design professionals are technically advanced and well versed in a wide variety of project types, materials and construction methods, and so are able to offer value engineering recommendations for any project..
Al-Amar provides advice on all aspects of quantity surveying including measurement of the works, standard method of measurement matters, preparation of contract documents, interim payments, variations and final accounts. In conjunction with associated companies, Al-Amar provides the full range of Quantity Surveying services. Our policies and typical quantity surveying services are set out below.